26 January 2015. A competition to develop new technologies for landing and robotic exploration of the moon awarded $5.25 million in 9 prizes to 5 private companies, as part of the Google Lunar XPrize challenge. The companies — from the U.S., Germany, Japan, and India — received the prizes for their design and development of landing, mobility, and imaging technologies. Contestants submitted their solutions for equipment and software designed to overcome risks and obstacles faced by a spacecraft as it lands and explores the lunar surface.The Google Lunar Xprize challenge is a $30 million contest to develop lower-cost methods for robotic exploration of the moon, including deployment of robotic devices that can explore at least 500 meters and send back high-definition images and video. Last month, the deadline for completion of the mission was extended to the end of 2016. The awards announced today, called Milestone Prizes, recognize specific parts of the competition posing more daunting obstacles to the overall goal. Among the prizes were those awarded for technologies designed to land a spacecraft on the moon, including attitude and orbiting control, guidance and navigation of the descent, avionics, propulsion, and devices for the actual touch-down on the lunar surface. Another set of awards recognized systems for making the exploring robots mobile on the lunar surface, such as deployment mechanisms, actuators for moving and guiding the device, avionics for navigation, distance verification, and communications with other devices as well as the relay station back to Earth. A third set of prizes awarded achievements in optics and imaging, including detection electronics, image quality-control mechanisms, controls protecting cameras from extremes in temperature, and communications with other systems and devices. Astrobotic received $1.75 million for technologies in all three categories. 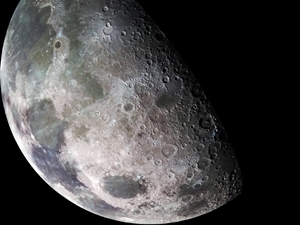 Moon Express was awarded $1.25 million for its imaging and landing entries. Team Indus received $1 million for its landing contributions. Part Time Scientists was awarded $750,000 for its imaging and mobility technologies. Hakuto received $500,000 for its entries on mobility. The Milestone Prizes are an optional part of the Google Lunar XPrize challenge that requires completion of all phases of the mission by 31 December 2016, with a launch no later than 31 December of this year. The competition is open to private teams, those with no more than 10 percent in government funding. The grand prize is $20 million, with a total purse of $30 million.